Is your canopy tent just a bit too small for your next outdoor gathering? 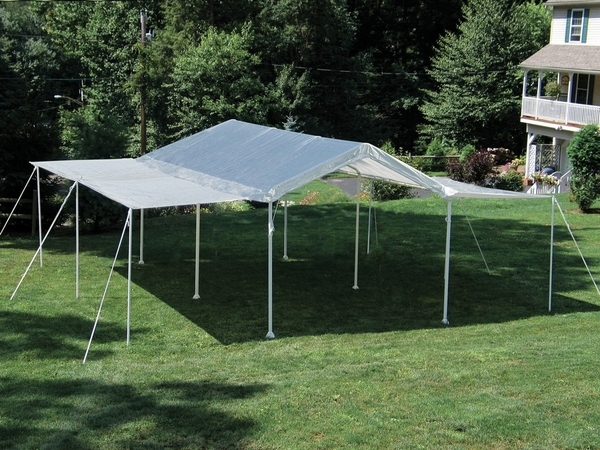 Using this extension kit, you can expand the tented space, providing shade and rain protection for even more people. This tent extension kit provides an extra 280 square feet of tented space and fits all 10' by 20' canopies. The extension kit includes two 7' W x 20' L polyethylene side wall extensions, steel extension poles, and tie downs. This tent extension kit is covered by a one year warranty.